The Physics of Theism provides a timely, critical analysis of the ways in which physics intertwines with religion. 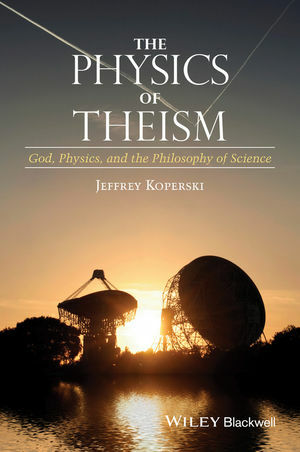 Koperski brings clarity to a range of arguments including the fine-tuning argument, naturalism, the laws of nature, and the controversy over Intelligent Design. Jeffrey Koperski is Professor of philosophy at Saginaw Valley State University, Michigan. While his early work in the philosophy of science focused on chaos theory, he has more recently moved into issues at the intersection of the philosophy of science and the philosophy of religion. He is an editorial board member for Philosophy Compass and has published articles in Philosophy of Science, the British Journal for the Philosophy of Science, and Zygon, among others.